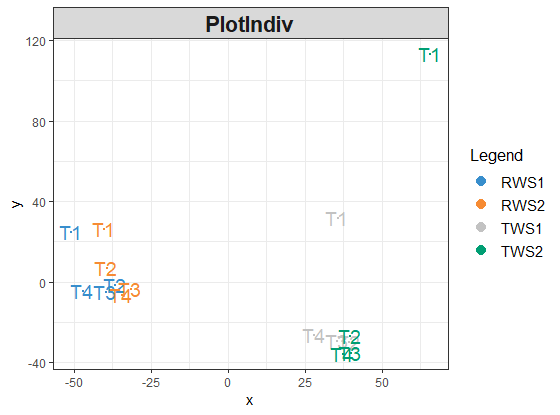 I noticed one problem about graphical output of plotIndiv function. 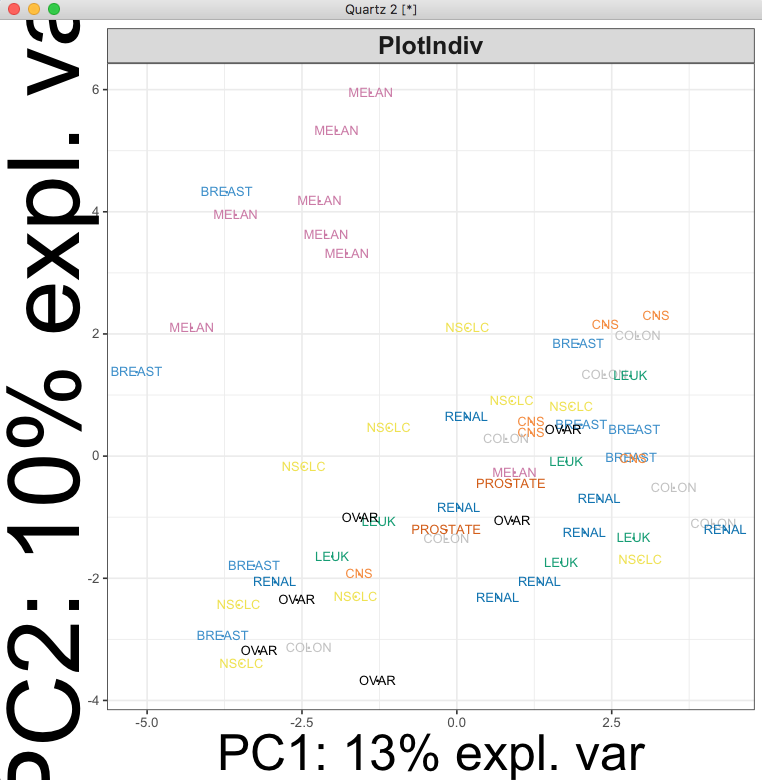 If i use the default style (ggplot2), the xlab and ylab are just "x" and "y". If i use other graphics styles (such as lattice), the xlab and ylab are the explained variance of PC. Dear Florian, Thank you for this. The problem that Emeline mentioned is solved. However, since I updated to the new version I am not able to change the size of the Y- and X-axes labels, using the "size.xlable" command. Is this possible? This is strange, and I am pretty sure it is a stupid mistake from my side. I use the fix that you recommended earlier on in this post and I also use the newest version of R (3.5.2). 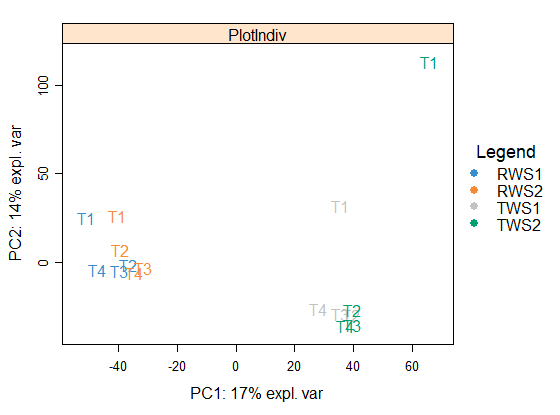 In my example I use a very large value for "size.ylable" and a small value for "size.xlable" but as you can see the axes lables have still the same size.